The lecture I gave at the end of January on fakes, forgeries and frauds in archaeology has been uploaded to YouTube. I tailored the lecture towards a general audience rather than specialists since it is the public who most often is the target of the misinformation. Some my find this helpful to use in various church or educational settings, which I am happy for you to do. The presentation software focuses on my PowerPoint slides rather than me. I will let you decide if that is a good or bad thing. I was looking for some material on the deaths of Ananias and Sapphira ( Acts 5:1-11) when I ran across this video presentation of the story. This is probably one of the more bizarre passages in the New Testament. For a book that teaches all about love, forgiveness and acceptance, the execution of this couple for lying about their offering seems out of place. I know of few people who are hoping that God will start striking people dead for lying and I am not even sure that is supposed to be the point of the story. The video is creative, but I am not sure the moral the narrator offers at the end is much more helpful. He suggests that although there is no happy ending there is a warning. "Take God very seriously, dare I say, deadly serious." What do you think? What is the point of the Ananias and Sapphira story and how is or can it be relevant to modern readers of the Bible? February is Black History Month in the USA and as such I have, in the past, tried to offer some blog posts that contribute to the history of African Americans in Biblical studies. 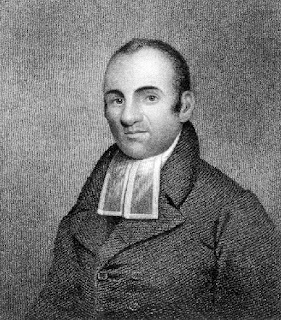 This year I would like to highlight the contribution of Lemuel Haynes, an 18th century preacher who offered some thoughts on one of the most notoriously difficult passages in the New Testament. 1 Corinthians 7:21 has the distinction of being one of the few passage in which Paul directly addresses slaves. The passage holds another distinction. It is one of the more difficult passages to translate and interpret. It appears that Paul left his thoughts incomplete. In 7:21 he says, “Were you a slave when called? Do not worry about it. But if you are able to become free mallon chrāsai [rather use (it)].” Translators and interpreters have all asked the same question: use what? The direct object of chrāsai is ambiguous and requires translators to make a choice. Did Paul mean that those who had become Christians while slaves should use their slavery, that is refuse the chance to become free? Did he mean that slaves should use their freedom? Or did he mean he wanted slaves to continue to use their calling by God? ‘Slavery,’ ‘freedom’ and ‘calling’ are each an important part of Paul’s discussion in 1 Cor 7:17-24, and a case can be made for each term to fill in Paul’s incomplete thought. While African American academic interpretations of Paul and slavery are more recent, they are not completely absent in history. One of the earliest comes from Lemuel Haynes who was born in 1753, the child of a white mother and a black father. After serving a period of indentured servitude, he received training for the ministry, including Latin and Greek, from two Connecticut clergymen and was ordained in 1780. Interestingly, Haynes spent nearly 30 years as the pastor of white congregations in eighteenth century New England. Of the numerous sermons and treatises written by Haynes that have been preserved, one entitled Liberty Further Extended (circa 1776) is of particular interest. Although Haynes was not known as a commentator on race relations, he was an opponent of slavery as the document makes clear. In the undated manuscript, Haynes provides political, theological and moral arguments against the institution of slavery. One of the theological arguments is (to the best of my knowledge) the earliest extant exegesis of 1 Cor 7:17-24 by an African American. It is not clear whether Haynes’s exegesis is a product of his theological training, his own investigations into 1 Cor 7:17-24 or both. Whatever the case, it is clear that Haynes has articulated one of the main interpretations supported by NT scholars even up until the present. By acknowledging the fact that slavery existed in antiquity while focusing on the importance of being ‘spiritually free,’ Haynes promoted a Stoic interpretation of slavery and anticipated NT scholars who would later portray Paul in a philosophical manner. Haynes’s conclusion that only legal means should be used to gain freedom and his seeming unwillingness to challenge the fact of slavery in antiquity or his own contemporary setting may be a result of his own privileged existence in revolutionary New England (that is, in comparison to enslaved blacks). But the importance of Haynes contribution cannot be overstated. He represents an early (perhaps the earliest) attempt by an African American to engage the enigmatic apostle of freedom, Paul, and interpret his statements on slavery while living in the midst of a slaveholding society. Unfortunately, Haynes also represents a single voice that was heard among the many that were forcibly silenced by a slaveholding society. For more on African American responses to Paul and slavery, see my Recent Research on Paul and Slavery (Sheffield Phoenix, 2008). It appears that biblical studies has lost another of its most prominent scholars. Word is beginning to spread that Ralph Martin has passed away this morning in Southport England. A full bio is not yet available, but I have put together the following from some pages of the publishers he worked with. I will update the post as more information becomes available. Ralph P. Martin retired from his position as distinguished scholar in residence at Fuller Theological Seminary and previously at the Graduate School of Theology of Azusa Pacific University. He was formerly professor of New Testament at Fuller Theological Seminary and associate professor in biblical studies at the University of Sheffield. He is the author of numerous studies and commentaries on the New Testament, including Worship in the Early Church, the volume on Philippians in The Tyndale New Testament Commentary series, and James in the Word Biblical Commentary, for which he also served as New Testament editor.